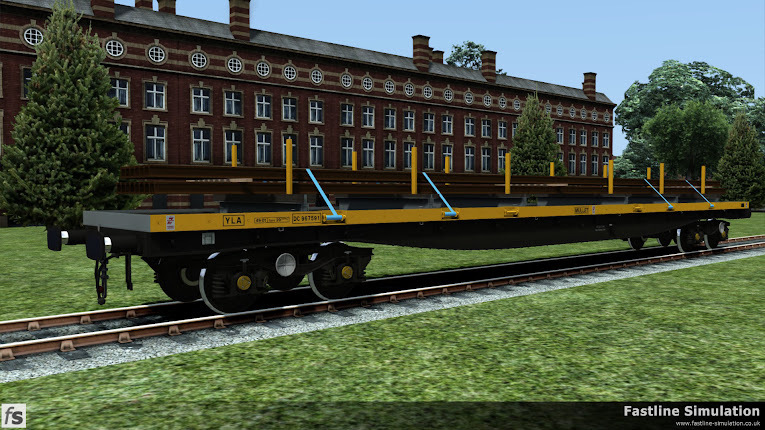 A little bit like buses that always seem to come in pairs we've released two air braked bogie bolster wagon packs for Train Simulator on Steam Marketplace. Further details about the expansions featuring the air braked conversion of the ubiquitous Bogie Bolster D as TOPS code BDA bogie bolsters and the less common BRA bogie bolster converted from BRV BORAILs which have spent the majority of their life coded as YLA Mullets for the engineers department can be found below. 3 different liveries - BR Railfreight red and grey, Engineers ‘Dutch’ yellow and grey, and EWS maroon and gold. 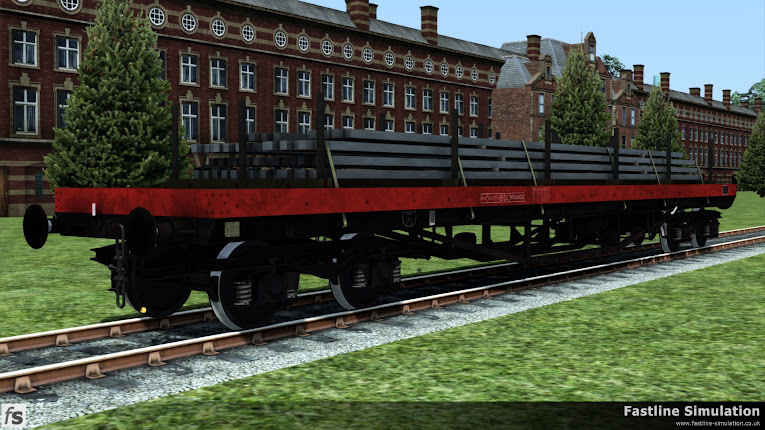 Concrete panel, reinforcing bar, 2x I-beam and 3x rail loads as well as empty versions.